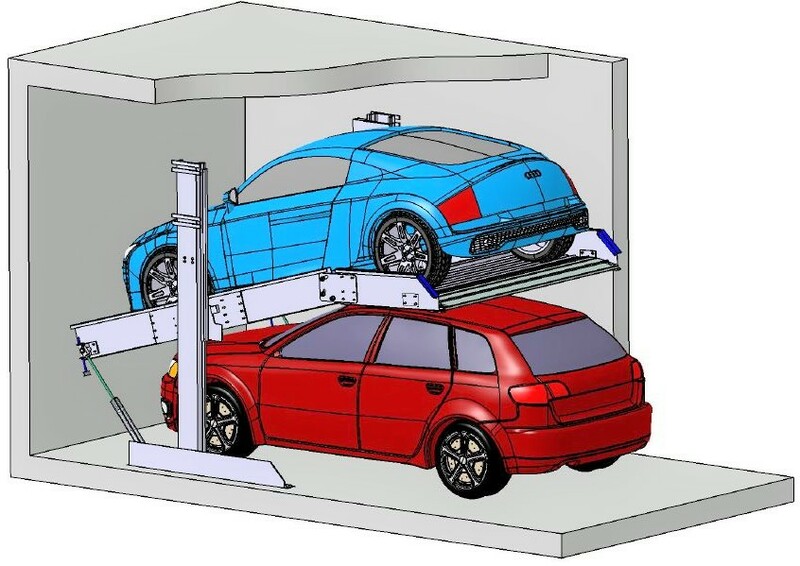 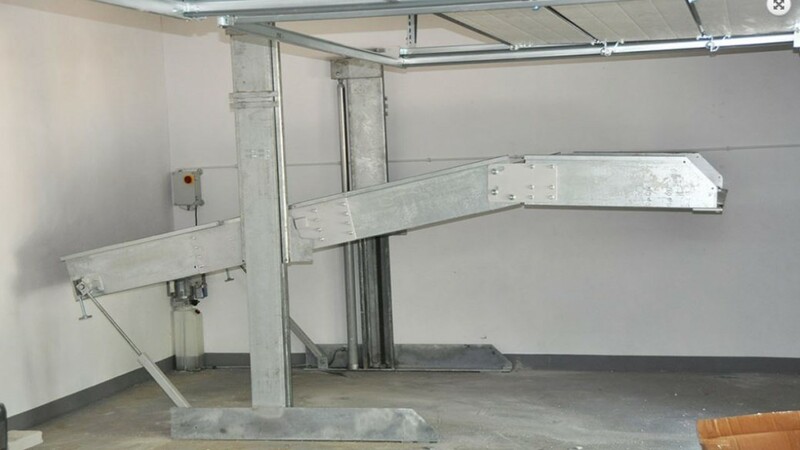 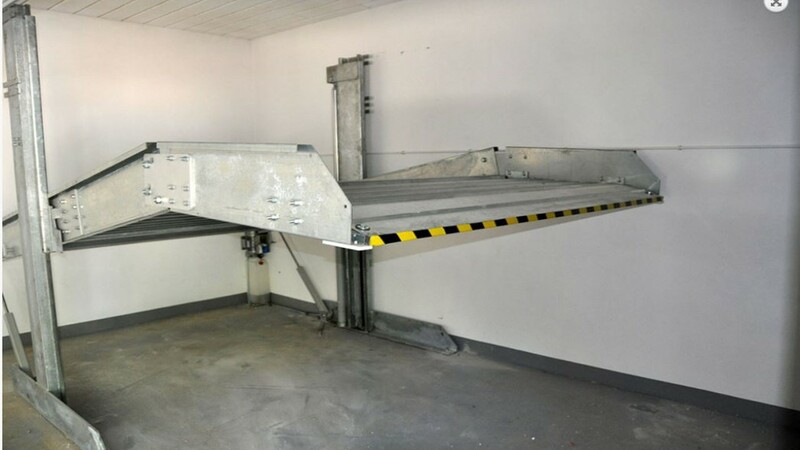 The hydraulic garage V1 is ideal for car parks with low ceilings. 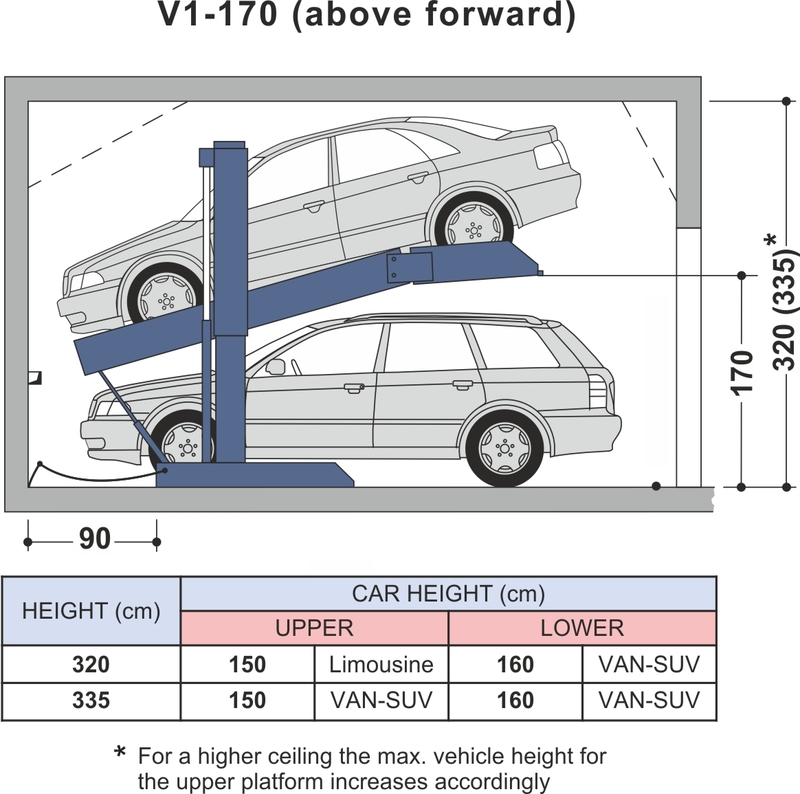 The angled platform provides parking space in garages where normal stacking would be impossible. 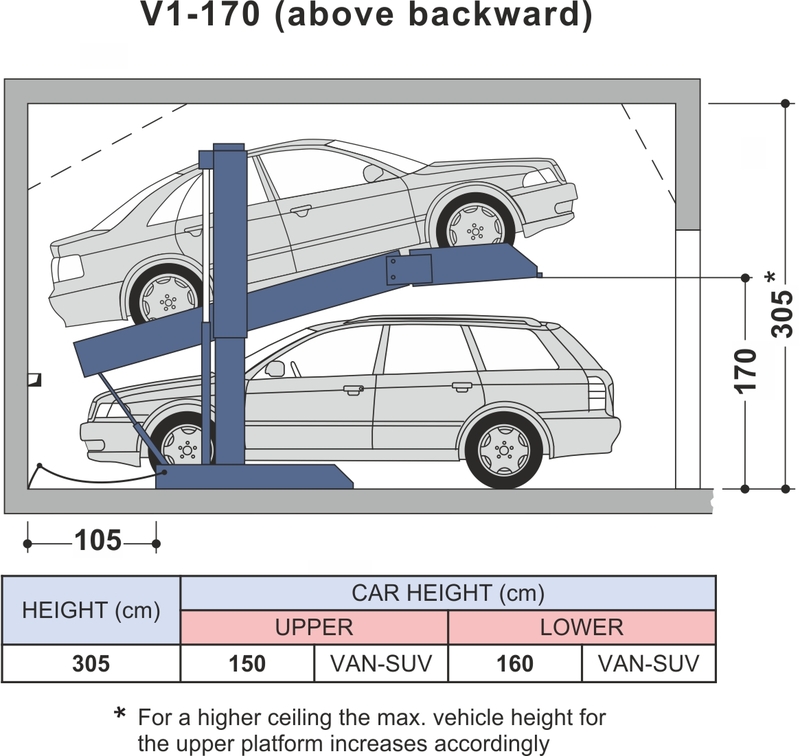 The Duplex Parker V1 creates dependent parking spaces: before lowering the platform, the vehicle parked on the lower parking space must be unparked.